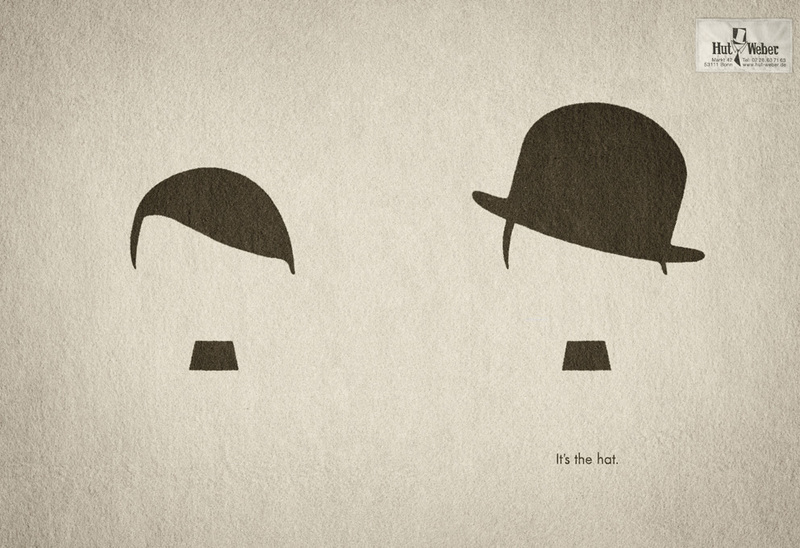 Bonn hat retailer Hut Weber demonstrates the difference a hat can make with “Hitler vs. Chaplin”. It’s simple. Put a bowler hat on Hitler’s head and you’ve got what appears to be Charlie. The cane might help as well. However, as Chaplin once said, “Life is a tragedy when seen in close-up, but a comedy in long-shot.” The advertising campaign inevitably raised the ire of the many Germans who firmly believe that Hitler should never be associated with any kind of advertising. The Hitler vs Chaplin ad was developed at Serviceplan, Munich and Hamburg, by creative directors Alexander Schill and Axel Thomsen, copywriter Francisca Maass, art directors Jonathan Schupp and Imke Jurok, account managers Julia Thoemen and Constanze Strothmann, with photographer Jo van de Loo.